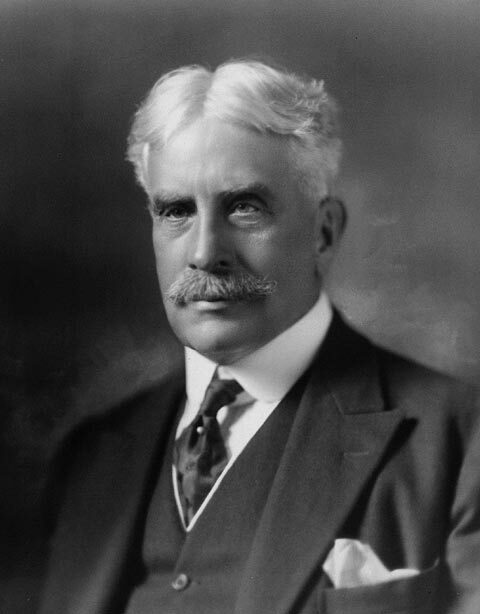 In the election of 1911, the Conservatives under Robert Borden faced off against Sir Wilfrid Laurier’s Liberals. 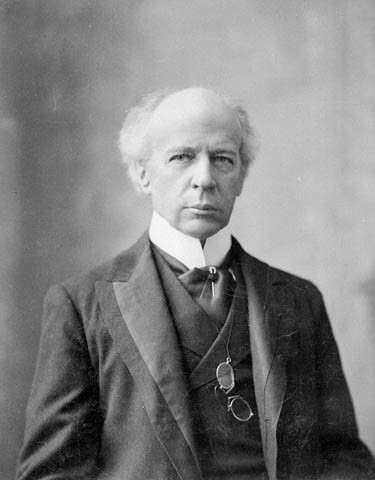 Laurier, at 69 had been Prime Minister for fifteen years. In an era of rising Imperial sentiment in English Canada, he had successfully maintained power by seeking compromise and a middle path. On its face, the election might appear to mark a sea change in Canadian politics. After all, a Liberal majority of 50 was replaced by a Conservative majority of 47. At the level of the popular vote however, the net gain by the conservatives was only 4.2%. Quebec was the Achilles heel for the Liberals. There, the shift to the Conservatives was amplified by 11.3% who deserted the Liberal cause to vote for other parties. Two major issues defined the campaign – The Navy Act of 1910 and Reciprocity with the United States. The 1910 Naval Service Act that established the Royal Canadian Navy was but one example of Laurier’s middle path. Imperialists wanted Canada to follow the example of other dominions and contribute both money and men directly to the Royal Navy. The opposition, concentrated in the Liberal stronghold of Quebec was against any Canadian contribution. The compromise was the establishment of a Canadian Navy that could play a role as part of an Imperial fleet but remained firmly under Canadian control. For Laurier, this middle path lost votes on both sides of the issue. In Quebec, he was denounced as having caved in to Imperialist interests while Imperialists accused him of abandoning the only navy truly capable of defending the Empire to appease Quebec. The Liberals had a long history of favouring freer trade with the United States. Facing an almost certain decline in seats in Quebec and a party that was in some disarray, Laurier gambled that he could win the support of agricultural interests by seeking a free trade deal. After several rounds of negotiation, Taft and Laurier had agreed to pursue reciprocity by concurrent legislation rather than by treaty thus creating a centre piece for Laurier’s bid for re-election. Free trade, he argued would be of great benefit to Canada’s resource industries and agriculture in particular. There would be bigger markets for Canadian exports and cheaper tools and farm implements. Not surprisingly, the protected Canadian industrial base opposed the idea. Despite a swift denunciation of Clark’s comments by the President and a blunt rebuke from Laurier, anti-American sentiment and Imperialist ire could not be held in check. Laurier and the Liberals were portrayed as traitors ready to sell Canada to American interests and abandon the Empire. Others have pointed to the simple calculation of net economic benefit by the electorate to show that the opposition in the cities could simply not be outweighed by agricultural support in the west and the Maritimes. Whether the deciding factor was simple political decay, economics, the naval Service Act or anti-American sentiment or some combination will likely continue to be a matter for historical debate. Although the results of the election are well known, historians also debate the impact of the event by asking the counterfactual question – What might have happened if Laurier had been returned to power in 1911 and been Prime Minister during the war? Some have argued that with a government more sympathetic to French Canadian and Catholic sentiments the history of the conscription debate and the divisive 1917 election might have been different. J.W. Dafoe, Laurier: A Study in Canadian Politics, Carleton Library No 3. Toronto, McLelland and Stewart, 1963, 44. Richard Johnson and Michael B. Percy, “Reciprocity, Imperial Sentiment and Party Politics in the 1911 Election” in Canadian Journal of Political Science,1980, Vol 13, Issue 4, 711.